Association MacBee was established on 17.12.2011 at the Faculty of Agricultural Sciences and Food in Skopje by a group of 10 beekeepers. This group is composed of beekeepers, honey bees fans, hobbyists and enthusiasts for protection of the environment, especially biodiversity. 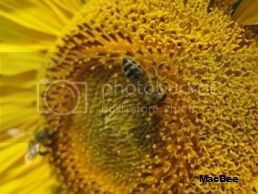 Research, protection, improvement and promotion of the native honey bee (Apis mellifera macedonica) in the Republic of Macedonia are the primary purposes of the founders of MacBee association. Earlier, in October 2010, the group under the coordination of the Faculty conducted research on overwintering food consumption (October to March) of 152 honey bee colonies and 12 experimental apiaries in five regions of the Republic of Macedonia. This research was financially supported by the company for producing food and wax foundations for honey bee colonies, MI VA MED from Skopje. Results of this research are published under the subtitle Results. Since March 2012, immediately after the registration of the association MacBee, research activities were started by establishing unified and strictly defined protocols for breeding and testing of 84 honey bee colonies in 7 experimental apiaries from 3 regions in Republic of Macedonia (see details under subtitle Apiaries). All results of the research are published at the subtitle Results. MacBee association is open for cooperation with all honey bees fans and beekeepers who are willing to comply with the conditions and criteria for membership (see MacBee intra). Under the same subtitle, information about the advantages and privileges of the MacBee association members can be found.